Lately I’ve been using Sweet Baby Ray’s BBQ sauce, and it’s very good! 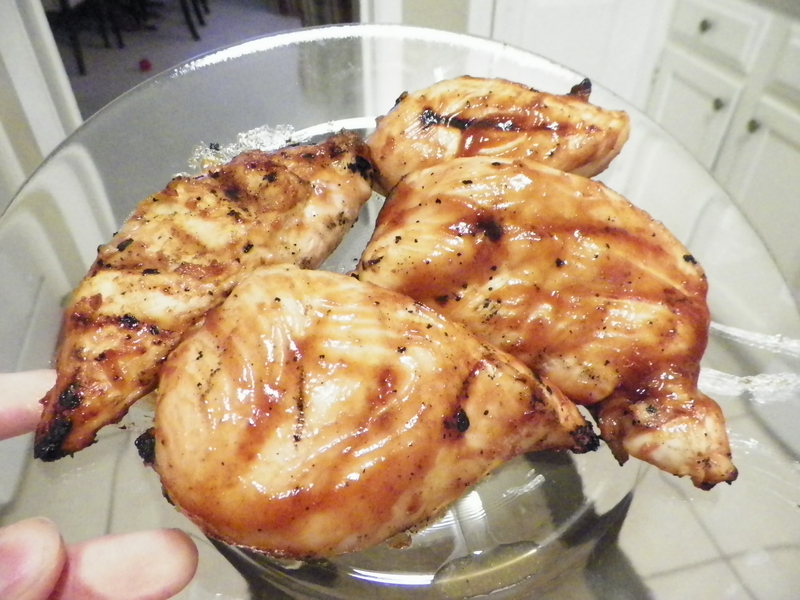 Just marinate as many boneless, skinless chicken breasts for 1 hour before grilling. Light your grill and heat to medium high heat. Grill roughly 4-5 minutes on each side, or until juices run clear. Baste with non-contaminated sauce while grilling! I love Pinto Beans … grew up on them! Sometimes I put ketchup on mine!!! (Does anyone else ever do that?!?!) I use The Pioneer Woman’s Campfire Beans Recipe. These make a lot … so freeze some for later or pass onto bless another mom! 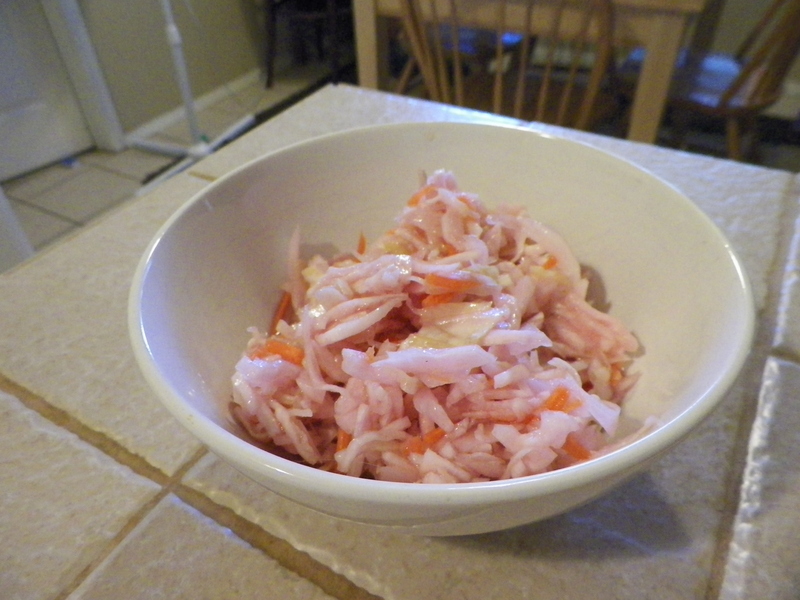 The Cole Slaw is an old family recipe and is vinegar-based. I’ve typed out the recipe and put it at the end of the post. This is what it looks like when you prepare it. This is what it looks like after sitting a few days and it keeps up to three weeks in the refrigerator! And the fruit salad, well that’s pretty self-explanatory! You can’t go wrong using in-season fruit. Often, this is the dessert of our meal! Bring vinegar, sugar, mustard and salt to a boil over high heat. Remove from heat and vigorously whisk in oil. 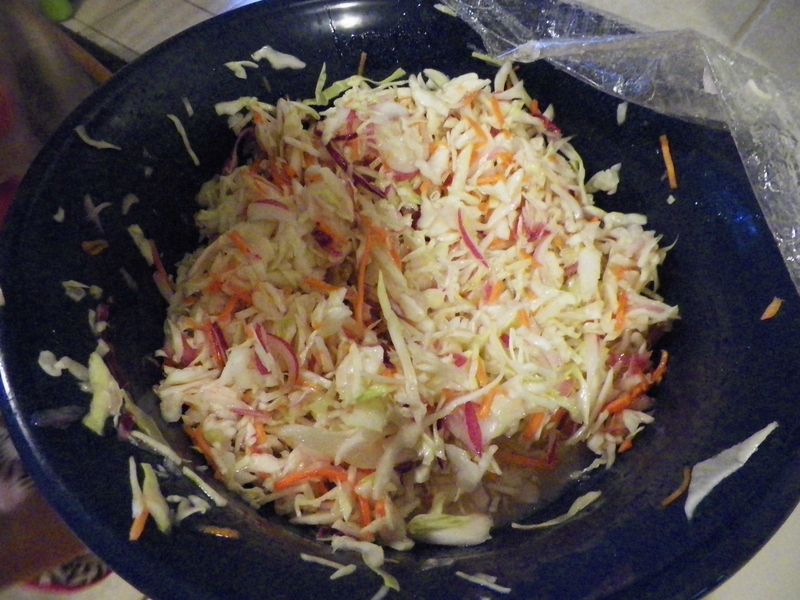 Alternate layers of cabbage, then onion, and repeat until all is layered. Pour hot sauce over all.